Film historian and theorist David Bordwell is the Jacques Ledoux Professor of Film Studies, Emeritus, at the University of Wisconsin—Madison. 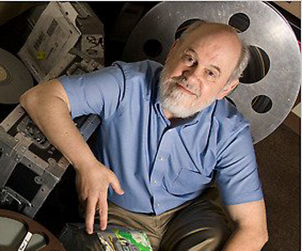 One of the most prolific and well-known scholars in the field, Bordwell is the author of more than 15 books on cinema, ranging from significant works on style and aesthetics to specific studies of filmmakers (Eisenstein, Dreyer, Ozu, Nolan) to film textbooks, most notably Film Art: An Introduction (with Kristin Thompson). First published in 1979 and still a college course standard, Film Art is in its 11th edition and has been translated into over a dozen languages. In addition to his print publications, he and his wife, fellow scholar Kristin Thompson, publish a blog at http://davidbordwell.net. There you will find musings on and serious study of cinema, both old and new, as well film analysis from festivals all over the world where he is often an invited speaker and panel participant. His interest in popular film—including his work on classical Hollywood cinema and his book Planet Hong Kong: Popular Cinema and the Art of Entertainment—has garnered him an avid following among mainstream film critics, including Richard Brody, Manohla Dargis, and the late Roger Ebert. Early in his career, Bordwell published The Films of Carl-Theodor Dreyer and Filmguide to La Passion de Jeanne d’Arc. He will be joining us this year to give a public lecture on Dreyer’s work and will be providing a brief introduction at our opening night event, Voices of Light: The Passion of Joan of Arc. In a separate session, he will also be discussing his most recent work, Reinventing Hollywood: How 1940s Filmmakers Changed Movie Storytelling.